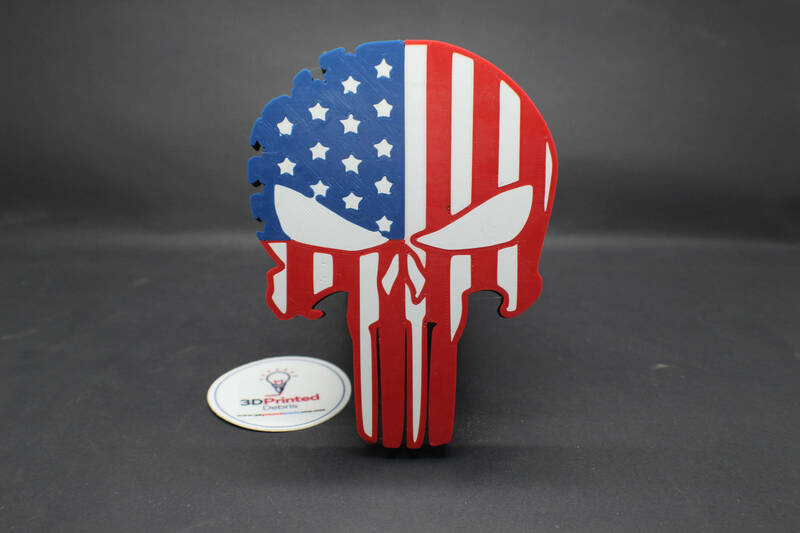 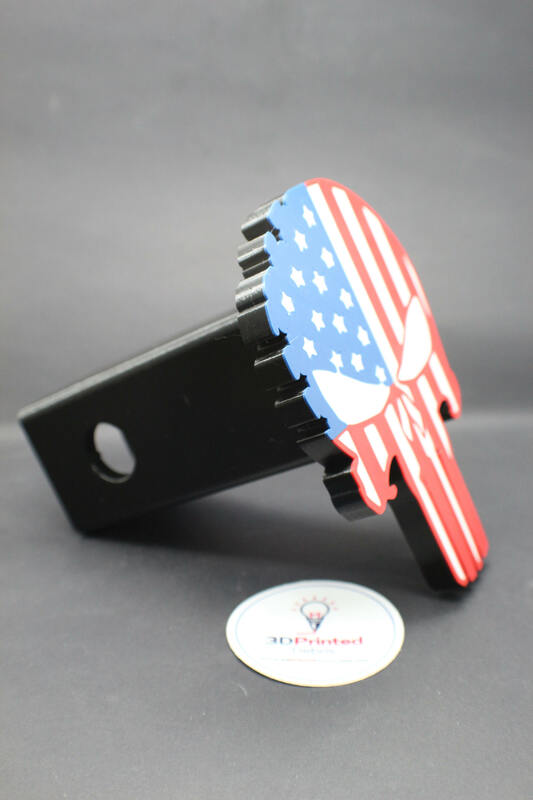 Here is an Patriotic Skull trailer hitch cover I designed that fits any 2 inch trailer hitch receiver. 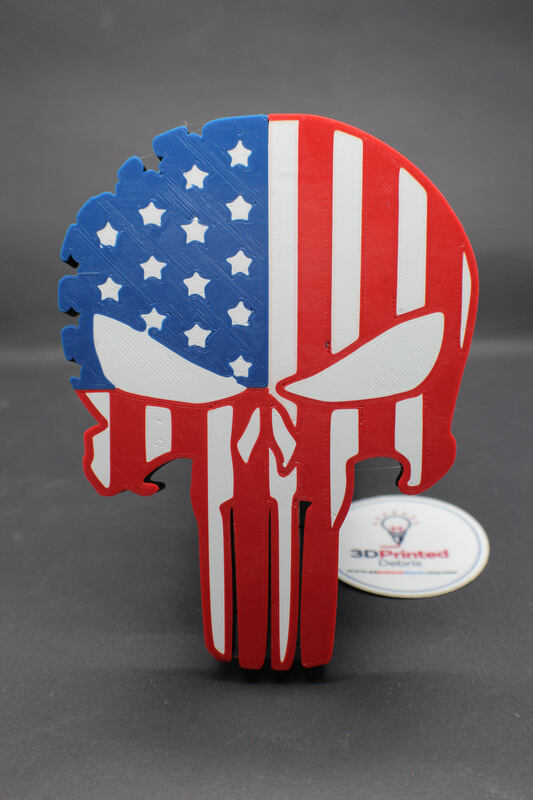 I print it at a very high infill so it will withstand the test of time. 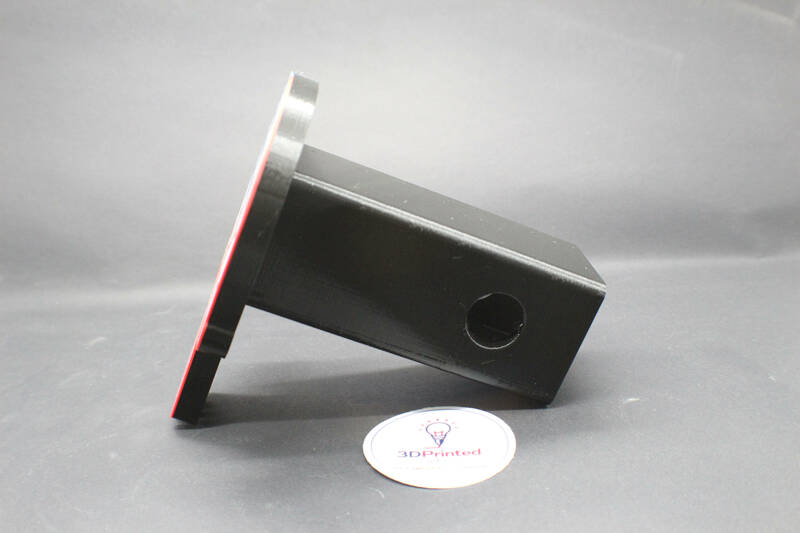 This will fit any 2 inch receiver out there. 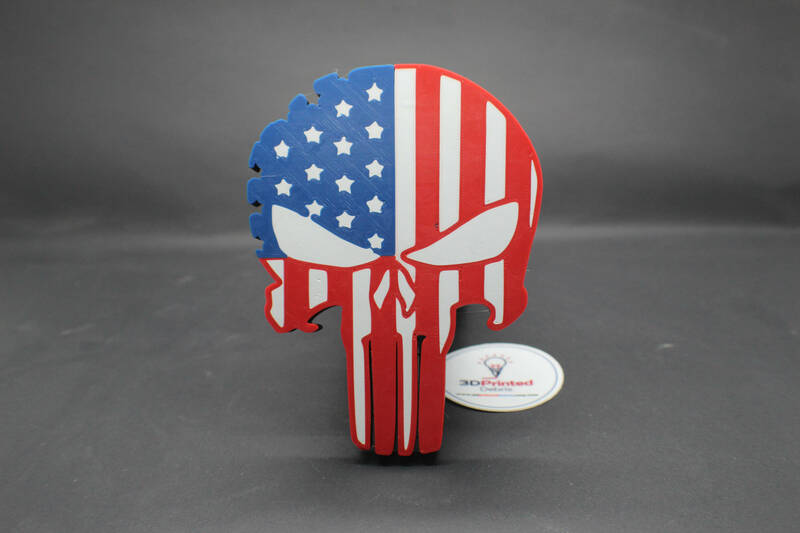 This one has been printed in 4 different color plastics, giving it a unique touch that won't scratch, chip, or flake off over time. 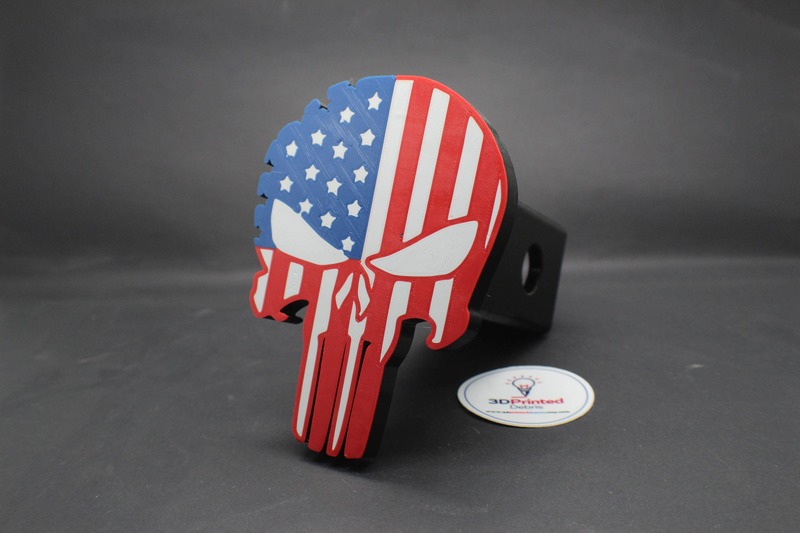 It measures 5" x 3.5" x 5"
If you have your own idea for a custom trailer hitch cover for your car, use the "request custom order" button and I'll get to work!